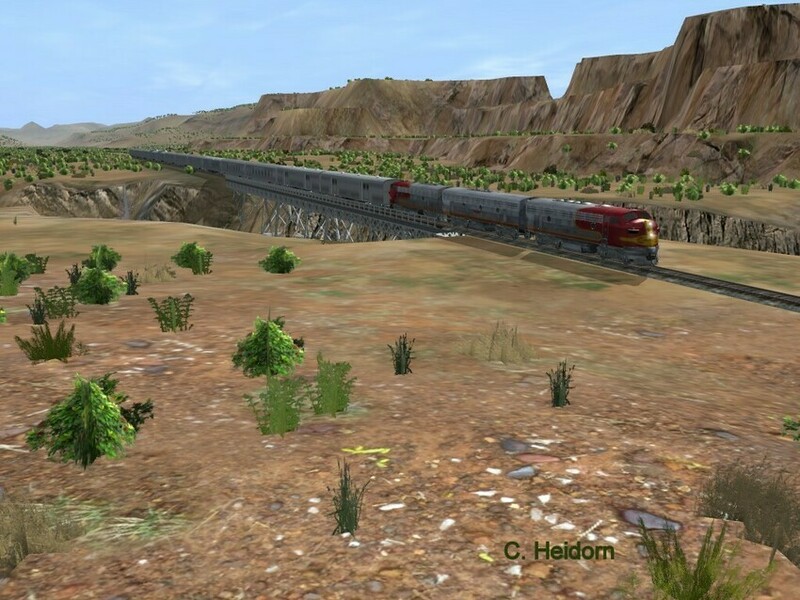 Santa Fe Super Chief sails through the southwest landscape on my Trainz 2010 layout. Photographed by Chuck Heidorn, March 5, 2019. Added to the photo archive by Chuck Heidorn, March 6, 2019.